Hosting Windows Controls on a web form is one of the interesting features of Visual Studio. This can be very useful actually, because we all know that creating Windows applications is sometime more flexible than Web applications. In Windows applications you have more control and you have access to a lot of .NET Framework classes that you don't find in Web applications. So to go about this, we will first create a simple Windows application, and I'll show you later on in this tutorial how I will embed it within our page. 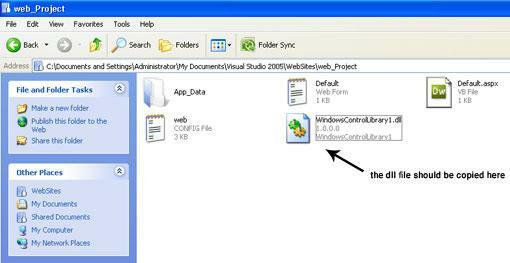 We will use Windows Control Library instead of a new Windows application. 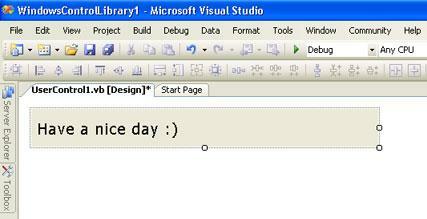 Open up visual studio, press File-->New-->Project. Choose "Windows Control Library" and leave the other default settings. In the control library, insert a label into your form and save your changes. Make sure you Debug the project because we will need the dll file produced to be used within our web application. Now close the solution and create a new website. To do so, press File-->New-->Website. Give your site a name. Mine is web_project. 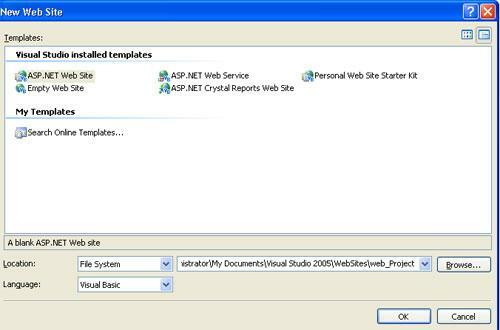 Now you will need your dll file produced in the previous project, copied to where your asp.net website is. Usually, you should locate your dll file in "bin" folder of your project. Copy that dll and place it in the root of the website. Now go back to your website in visual studio, and get the HTML code of the Default.aspx page. Save your changes and Run the site. 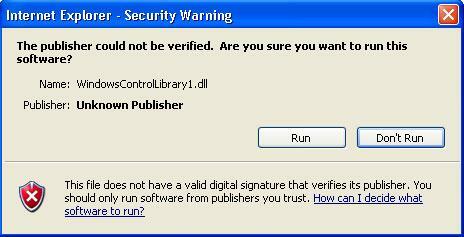 An alert will be prompted to you asking wether to trust the dll file or not. Click Run to allow the dll to be launched in Internet Explorer. Congratulations, we were able to load the windows form to our web page. What you see on screen is a windows control label and not plane text. Now try it yourself, add more controls and functions to the Windows Control Library and test them out. 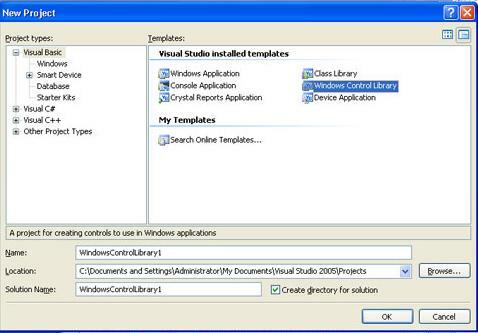 There is sample Visual Studio .NET project, used in this tutorial. Some people also use this technique, and they attempt to change the content of the form within the .aspx page, by changing values of properties and so on. I hope this tutorial was helpful to you. Happy Programming!